Counterjihad is a political current. It has been variously dubbed anti-Islamic, or islamophobic, or far-right, The roots of the movement go back to the 1980s, but it did not gain significant momentum until after the September 11 attacks. According to Hope not Hate counterjihad have largely replaced earlier neo-nazism and the traditional far right thus making their ideas more respectable. 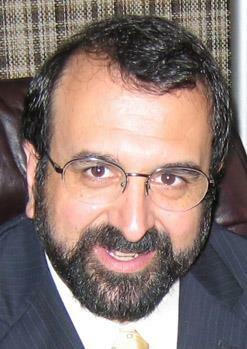 The views of the counterjihad movement have been criticized as a source of support for the anti-Muslim views of individuals inspired to take violent direct action. Anders Behring Breivik, responsible for the 2011 Norway attacks, published a manifesto explaining his views which drew heavily on the work of counterjihad bloggers such as Fjordman. Daniel Pipes argues that a “close reading of his manifesto suggests” that Breivik wanted to discredit and undermine the counterjihad movement's dedication to democratic change to further Breivik’s “dreamed-for revolution” as the only alternative. Bruce Bawer argues that the association of criticism of Islam with violence implies that "to be opposed to jihad is, by definition, not only a bad but a downright dangerous thing." Executive director of the Institute of Race Relations, Liz Fekete, has argued that although most of the counter-jihad movement "stops short of advocating violence to achieve their goals", the most extreme parts share much of Breivik's discursive frameworks and vocabulary. She counterposits this with more mainstream counterjihadists, that warn of Islamisation as a result of naïvety or indecisiveness, whom she identifies as a source of legitimacy for the former. And, lastly, a nietzscheian, post-Christian worldview where the distinction between good and evil is given little attention, to the point where Christianity's ideal of "loving one's neighbour" is entirely omitted. Christianity is reduced from a system of belief to an identity marker, and a political mythology is built, that draws heavily on the crusades. The Cold War parallel is taken further by social commentator Bruce Bawer. He not only compares counterjihad with anti-communism but compares those who criticize the counterjihad movement with anti-anti-communists. The latter damned anti-Communists as “fanatical, paranoid conspiracy theorists” while “remaining all but silent about the evils of Communism itself.” Today it is fashionable to hold that “the good guys are the counter-counterjihadists – the journalists, activists, and others who make a career of slamming” counterjihadists. Author, Roger Kimball, agrees. The International Free Press Society lists representatives from many parts of the counterjihad spectrum on its board of advisors. Eurabia theorist Bat Ye'Or is on the board of advisors, while owner of the blog Gates of Vienna, Edward S. May, serves as outreach co-ordinator on its board of directors. The "Counter Jihad 2007" conference, which took place in Belgium, has been regarded as a crucial event in the movement's history. During this first large conference, the Stop Islamisation of Europe, was founded by Anders Gravers Pedersen, who also sits on the board of the Stop Islamisation of Nations. There are numerous affiliated "Stop the islamisation of..." and "Defense Leagues" in several European countries, among them Stop Islamisation of Denmark, Stop Islamisation of Norway, and the English Defence League. ^ a b c d "Diffus rörelse med muslimer som hatobjekt". Svenska Dagbladet (in Svenska). 3 August 2011. Retrieved 6 August 2011. ^ "Pentagon suspends "counterjihad" class on Islam". ^ Anna-Lena Lodenius. "Risk att Breivik ses som profet". Svenska Dagbladet (in Svenska). ^ Mattias Wåg (28 Jul 2011). "Den nya högerextremismens terroristiska uttryck". Göteborgs fria (in Svenska). ^ a b Denes, Nick (2012). "Welcome to the Counterjihad: "Uncivil" Networks and European Social Space". Dahrendorf Symposia Series (Berlin: Dahrendorf Symposia). 2012-12. ^ Alexander Meleagrou-Hitchens, Hans Brun, A Neo-Nationalist Network: The English Defence League and Europe’s Counter-Jihad Movement, International Centre for the Study of Radicalisation and Political Violence, March 2013. ^ Archer, Toby (15 August 2008). "Countering the counter-jihad". Retrieved 28 August 2011. ^ a b Arun Kundnani (June 2012). "Blind Spot? Security Narratives and Far-Right Violence in Europe" (pdf). ^ Bodissey, Baron (20 November 2009). 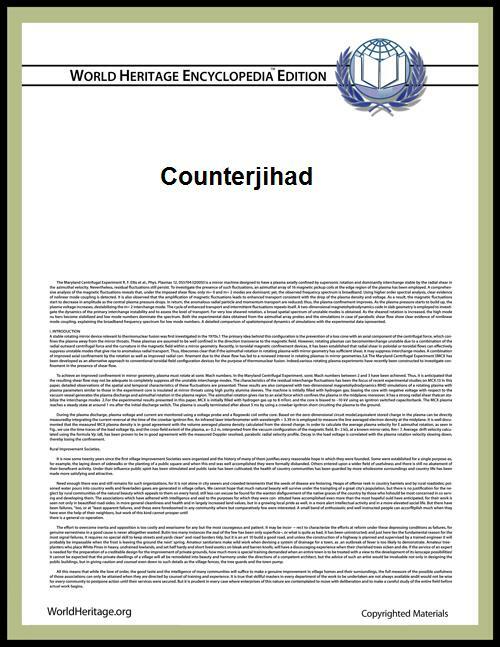 "The Counterjihad Manifesto". ^ a b "Eurabiske vers" [Eurabian verses] (in Norwegian). ^ a b Shane, Scott (24 July 2011). "Killings in Norway Spotlight Anti-Muslim Thought in U.S.". ^ Patalong, Frank (25 July 2011). "Blogging Hate - Anders Breivik's Roots in Right-Wing Populism". ^ Pipes, Daniel (July 27, 2011). "Norway’s Terrorism in Context: The damage Behring Breivik did to the counterjihad may well have been purposeful". National Review Online. Retrieved April 24, 2012. ^ Bawer, Bruce (April 20, 2012). "The Scandalous Lies of ‘Hope Not Hate’". ^ a b Fekete, Liz (2012). "The Muslim conspiracy theory and the Oslo massacre". Race & Class 53 (3): 30–47. ^ Mjaaland, Marius Timman (28 September 2011). "Korstog mot hellig krig (Crusade against Holy War)". ^ "Notes on ‘Counterjihad’". Front Page Magazine. July 29, 2013. ^ Roger Kimball (July 30, 2013). "From ‘Anti-Communist’ to ‘Counterjihadist’". PJ Media. ^ a b "Far-right anti-Muslim network on rise globally as Breivik trial opens". The Guardian. April 14, 2012. Retrieved April 27, 2012. ^ "Stop Islamization of Nations (SION) Calls on UN to Protect Christians of Syria". ^ Anders Hvass. "Lars Hedegaard ude af DF" [Lars Hedegaard leaves Danish People's Party] (in Danish). ^ a b c Luban, Daniel; Eli Clifton (28 February 2009). "Dutch Foe of Islam Ignores US Allies' Far Right Ties". 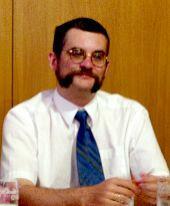 ^ Nick Lowles (June 2012). "International ‘Counter-Jihadist’ organisations - The International Free Press Society (IFPS) Network". ^ Archer, Toby (25 July 2011). "Breivik's swamp". Retrieved 28 August 2011. ^ "80 Arrested After Anti-Islam Protest In Denmark". Associated Press. March 31, 2012. Retrieved April 25, 2012. ^ "Islam debate takes centre stage in Aarhus". The Copenhagen Post. April 4, 2012. Retrieved April 27, 2012. ^ "Fringe group barred suspected Norway killer from forum". ^ "Her er Breiviks meningsfeller" [These are the people who share Breivik's opinions] (in Norwegian). ^ "Anders Gravers Pedersen væltet omkuld under demonstration" [Anders Gravers Pedersen scuffled during demonstration] (in Danish). TV2 Nord. May 21, 2010. Retrieved April 28, 2012. ^ "SION to Hold International Congress and Media Workshop to Address Islamic Supremacist War Against Free Speech (Press Release)". PR Newswire. March 15, 2012. Retrieved April 28, 2012. ^ "Backgrounder: Stop Islamization of America (SIOA)".